During our trip to Greece, Nico couldn’t resist visiting Thessaloniki – the most popular city for lovers of food and street photography. 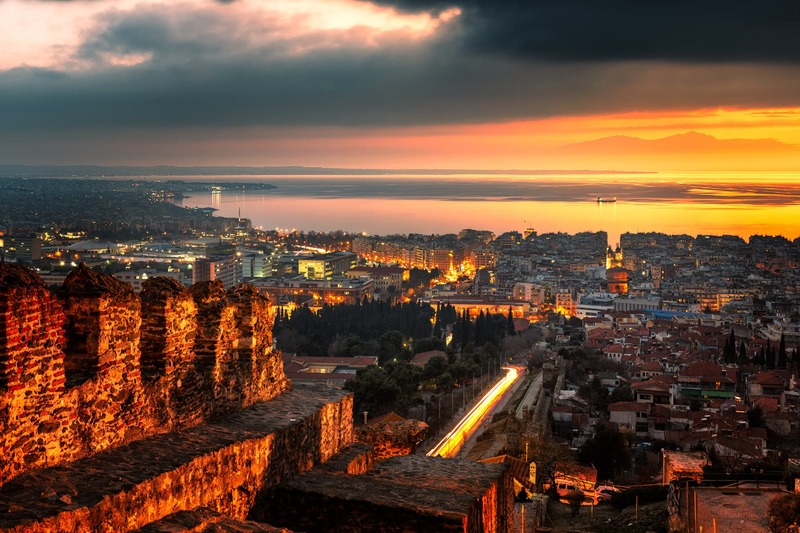 But Thessaloniki was an even broader experience than we thought at the beginning, and we were glad about our decisions on how to travel there. 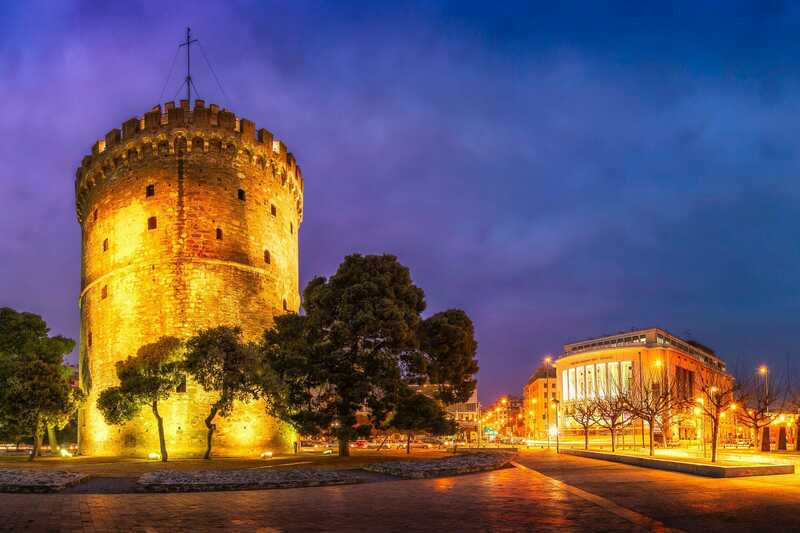 Here we would like to share a few practical tips which we learned while on our trip: how to get to Thessaloniki, parts of the city that are convenient for a stay, how to move around, and where the best places to eat. After discovering Athens, we decided to travel to the north of Greece. The weather in January in Thessaloniki was supposed to be a bit worse than in Athens (colder and more snow), but Nico decided that even with the sub-optimal weather conditions, there is still a lot to capture on film in Thessaloniki. 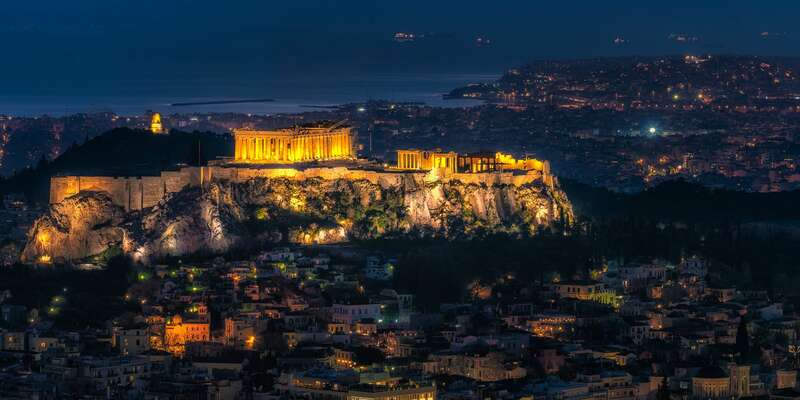 How to get the best from Athens to Thessaloniki? We would recommend a train trip. Our train from Athens to Thessaloniki departed at a convenient morning hour (no rushing at 5 before sunrise). We could buy the tickets directly at the Athens Railway Station (named Larrissa Railway Station) even half an hour before our train arrived. The only confusing thing was that the names of destinations were written in the Greek alphabet, which caused some stress because we couldn’t be completely sure we were on the right platform. Confusion, though, is never a problem in Greece in our experience, as Greeks are very friendly and understand tourists well. Just asking was enough for a man to put us in the right train with a smile on his face. The train trip lasted around 5 hours and was one of the most remarkable experiences for us. We passed breath-taking mountains in central and northern Greece, admired the views of, for example, Olympus – the place where the mythological Greek gods and goddesses have their seat. We also saw many small villages, green even in winter and, at one point, we even went along the coast of the Mediterranean Sea. What could seem a long time, with those views, some sandwiches and Greek coffee from the train’s bar that we sipped together with the locals, passed fast. At that time of the year, it seemed that this train was used only by Greeks, as we didn’t see too many tourists. A bit tired, but delighted by the views, we arrived at Thessaloniki Railway Station. Our laziness pushed us to order an Uber, as we’ve gotten to use to that in Athens. However, there was no Uber in Thessaloniki. We were apparently also too slow to catch a taxi, as the spot for them was empty. No bus was heading to the center of the Thessaloniki soon, so we decided to walk to our flat by foot, as it was only 20 minutes away from the station. Apart from heavy suitcases packed with Nico’s photography gear, the walk, was very pleasant, especially through small charming streets. 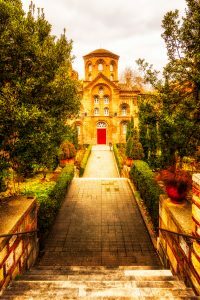 It was a valuable experience for the beginning of our stay in Thessaloniki, as we discovered that basically, you can reach every crucial point in this town by foot. As we started walking on our first day here, we kept to mostly walking, as we could discover more of the city by this “means of transport”. Only twice did we take a taxi: when Nico was in rush to capture the sunset over Thessaloniki from the Eptapyrgio Castle and when we went to the airport. The taxis are easy to find and quite fair, meaning the price is alright and drivers did not cheat. They were in almost every square, which the Greek call “piazza”. There was supposed to be a good bus system in Thessaloniki, so that you can easily get from A to B. The tickets were also reasonably priced – 1€ for a 70-minute ticket if you buy it in kiosk, and 1,10€ if you buy it from a vending machine at a bus station. However, as we stayed pretty much in the center, we didn’t test the buses in the end. We stayed at an apartment near Aristotelous Square, which was supposed to be the most vivid part of Thessaloniki through Airbnb. We managed to find a place just in front of Yahudi Hammami – an Ottoman-era bath. It ended up being a very clever idea to have an apartment there not only because of proximity to many tourist sights but also because of the neighboring Ladadika district, famous for its many restaurants with delicious food. 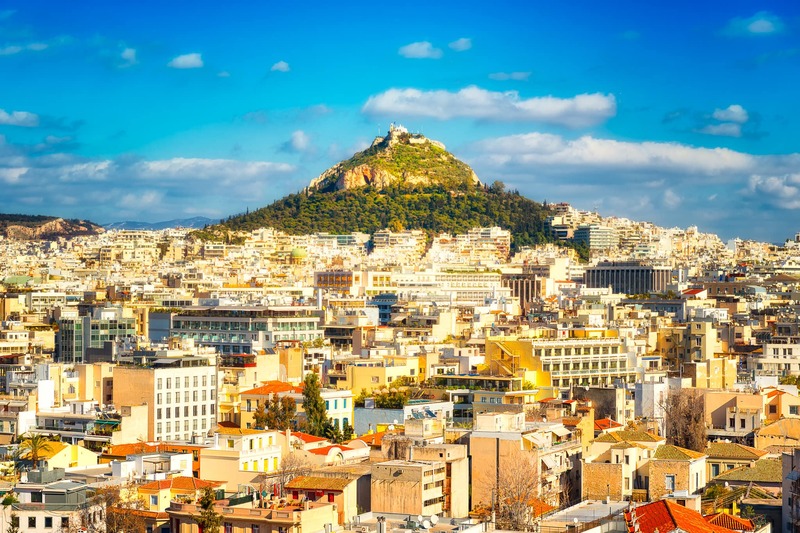 Overall, it’s never a bad idea to stay near Aristotelous Square, as you can easily reach the shore of the Mediterranean Sea with a few minutes’ walk. You’re close to most tourist attractions, shops, and restaurants. As for the latter, maybe it’s better to leave typical tourist roads alone and head to the nearby Ladadika district, where the various, mostly Greek but not just Greek, restaurants are. Being in Greece and not eating Meze is almost a sin, so we kept on eating only those small local dishes. As we’ve heard from our host, you can never be wrong in choosing a place with Greek food in Thessaloniki. For the first day, we went for “To Full Tou Meze”, which was a place reminiscent of a grocery shop. There were shelves with jars or canned products on the walls, and the tables were covered by a print imitating Greek newspapers from decades ago. The waiters were friendly and sincere to us – one even said that what our order might be too much for two to eat … The choice of meat and vegetarian Meze was broad, and in the end, everything that we ordered was fresh and delicious. We visited numerous places in this area, always ordering meze, and there really was nothing that we could do wrong, as our host said. Apart from dining, we experienced a variety of street food in Thessaloniki, the best of which is spinach cake – a must try if you’re in Greece. The remarkable thing about Thessaloniki is the bakeries almost on every corner. Apart from the salty-style cakes, which could be a replacement for a lunch on a warm day, the people there are just masters of sweets! It is said that the Ottoman times left a mark on the style of baking in those regions, and seeing how many kinds of baklava those small shops sell, we believe it. Our favorite bakery shop became “Terkenlis” located near Arystotelous Square, where they sell delicious tsoureki (braided egg-bread brioche). All in all, Thessaloniki made a very positive impression on us. 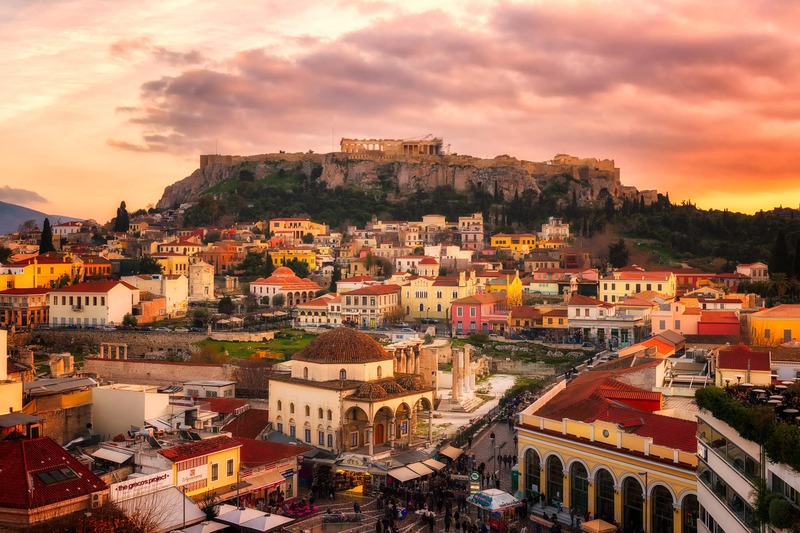 Despite the colder climate than in southern Greece, there is no bad time for visiting it. Everything in this place seemed so easy for us: reaching it, moving around, finding a good place to stay, and a good place to eat!